With the cold, snowy weather looking set to continue into the New Year I came across some really useful sites today that I thought I'd share. Some of you have probably seen these already whilst planning your hiking and camping trips but they'll be of use to those who haven't. The Lake District National Park provide a Weatherline service providing a 5 day forecast on their site. This not only gives you an overview of the weather but also goes into detail covering hazards, visibility, hill fog, winds, precipitation and temperatures. 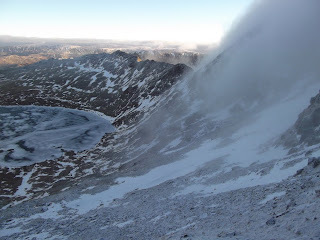 They also have a felltop conditions report, giving you more info on what it is like on the ground. Today on Helvellyn there are patches of snow and ice at all levels and certain ridges should only be attempted by the experienced. 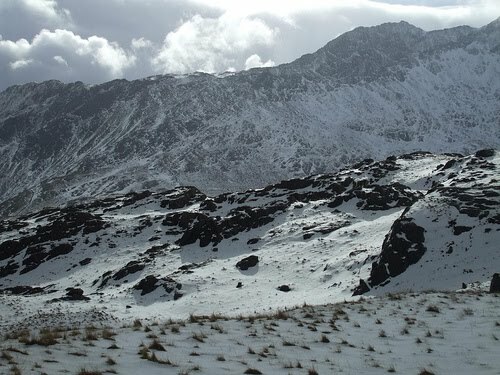 The Met Office provide weather forecasts for a range of mountain areas but have just updated their Snowdonia forecast to include a section on ground conditions. Its fairly basic but lets you know to expect frozen ground and snow, with more extensive cover where drifting has occurred. The Mountain Weather Information Service provides a weather forecast including the important“chance of cloud free summits”. It breaks Scotland down into 5 areas to provide a more accurate forecast and also has an avalanche guide. Goes without saying but if you're heading out, be prepared and don't forget these are only forecasts. Happy winter walking!